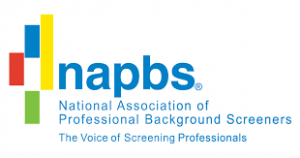 Most Common Reasons for Drug Testing Employees in a Drug Screening Program. Partner with a leader in the background screening industry with streamlined background check processes to provide fast, accurate and compliant background checks all while providing superior customer service. We don’t just run computer checks—we compare findings, visit court houses, run alias searches, and partner with some of the most admired companies in the screening business to make sure our clients get what they need. 3rd Degree Screening has partnered with eScreen, the innovator in the field of employment screening technology to bring employers paperless workplace testing. Applicant Tracking Systems offer much more than a solution to your recruitment and hiring needs. It is truly a unified talent management solution. 3rd Degree Screening can review your current process for background checks or help you decide what is the best package for your company. ©2018 3rd Degree Screening® | All rights reserved.